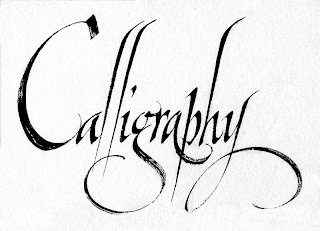 Calligraphy continues to flourish in the forms of wedding and event invitations, font/typography, original hand-lettered logo design, religious art, announcements/graphic design/commissioned calligraphic art, cut stone inscriptions and memorial documents. It is also used for props and moving images for film and television, testimonials, birth and death certificate and other works involving writing. 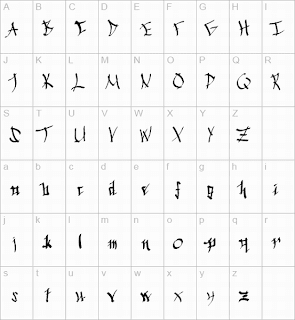 Sacred Western calligraphy has some special features, such as the illumination of the first letter of each book or chapter in medieval times. A decorative "carpet page" may precede the literature, filled with ornate, geometrical depictions of bold-hued animals. 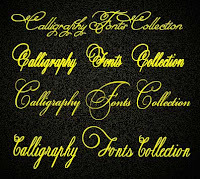 As with Chinese or Arabian calligraphies, Western calligraphic script had strict rules and shapes. Quality writing had a rhythm and regularity to the letters, with a "geometrical" order of the lines on the page. Each character had, and often still has, a precise strock order. Unlike a typeface, irregularity in the characters' size, style and colors adds meaning to the Greek translation "beautiful letters". The content may be completely illegible, but no less meaningful to a viewer with some empathy for the work on view. Ashoka's edicts (c. 265–238 BC) were committed to stone. These inscriptions are stiff and angular in form. Following the Aśoka style of Indic writing, two new calligraphic types appear: Kharosti and Brahmi. Kharoṣṭī was used in the northwestern regions of India from the 3rd century BC to the 4th century of the Christian Era, and it was used in Central india until the 8th century. Copper was a favoured material for Indic inscriptions. In the north of India, birch bark was used as a writing surface as early as the 2nd century AD. Many Indic manuscripts were written on palm leaves, even after the Indian languages were put on paper in the 13th century. Both sides of the leaves were used for writing. Long rectangular strips were gathered on top of one another, holes were drilled through all the leaves, and the book was held together by string. Books of this manufacture were common to Southeast asia. The palm leaf was an excellent surface for penwriting, making possible the delicate lettering used in many of the scripts of southern Asia. 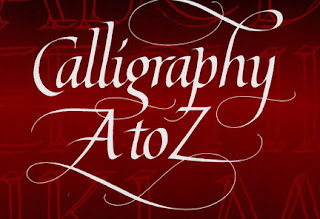 The principal tools for a calligrapher are the pen, which may be flat- or round-nibbed, and the brush. For some decorative purposes, multi-nibbed pens—steel brushes—can be used. However, works have also been made with felt tip and ballpoint pen, although these works do not employ angled lines. 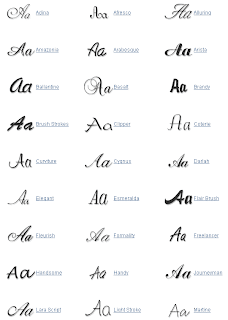 Ink for writing is usually water-based and much less viscous than the oil based inks used in printing. High quality paper, which has good consistency of porosity, will enable cleaner lines, although parchment or vellum is often used, as a knife can be used to erase work on them and a light box is not needed to allow lines to pass through it. In addition, light boxes and templates are used to achieve straight lines without pencil markings detracting from the work. Ruled paper, either for a light box or direct use, is most often ruled every quarter or half inch, although inch spaces are occasionally used. (c) 2009 Priyanka Kureel . License Under Creative Commons.. Simple theme. Powered by Blogger.